The Resurrection: Easter? or First Fruits? 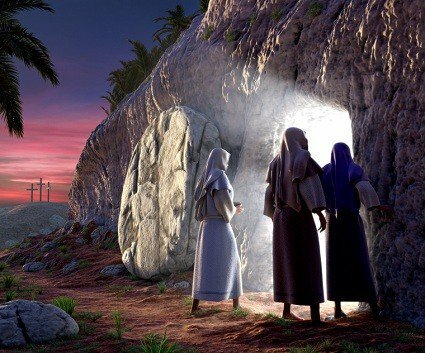 Home Biblical Christian Articles Yah's Calendar The Resurrection: Easter? or First Fruits? Easter Sunday is the highlight of the religious year for many people. Many dearly beloved traditions are associated with this holiday. Easter Sunday is foundational to modern Christianity. It is the reason why the majority of Christendom worships on Sunday. 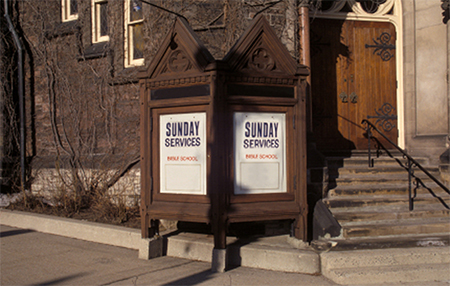 Entire theologies have been built on the belief that the seventh-day Sabbath was nailed to the cross and the sanctity of Sabbath was changed to Sunday. Easter, as the traditional day of Yahushua's resurrection, is the reason given for worshipping on Sunday. Protestants are quick to follow Roman Catholics in worshipping on Sunday. Sunday is the first day of the Gregorian week. Because the Bible is clear that Yahushua was resurrected on the first day of the week, and since Sunday is the first day of the modern week, the assumption that Yahushua was resurrected on Sunday seems conclusive. However, the modern calendar was not used by the Israelites of Yahushua’s time. It was devised by a Jesuit astronomer, named Christopher Clavius, in 1582. Before that, Europe used the Julian calendar. No days of the weekly cycle were lost when the calendar transitioned from Julian to Gregorian. However, this still does not prove that Yahushua was resurrected on Easter Sunday. 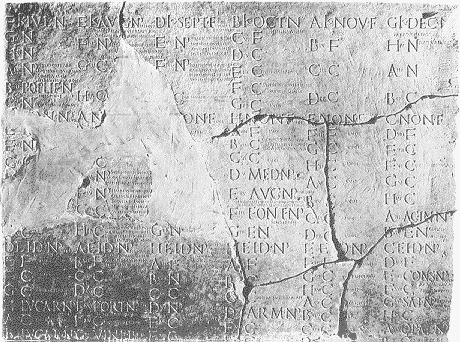 An example of a Julian calendar dating from the time of Augustus (63 B.C. – A.D. 14) to Tiberius (42 B.C. – A.D. 37), is preserved on these stone fragments. The eight-day week is clearly discernible. The Julian calendar was devised by the pagan astronomer, Sosigenes, in 45 B.C. It had an eight day week. The days of the week were designated by the letters A through H. Yahushua and the Israelites of His day did not use the calendar of their Roman conquerors. They did not calculate the Sabbath or holy feast by the pagan eight-day week. The Israelites used the ancient “mosaic” calendar – the method of time keeping established by Yahuwah at Creation, and reaffirmed to Moses at the Exodus. The fourteenth of every lunar month always falls on the sixth day of the week. In the first month, the Passover is immediately followed by the beginning of the Feast of Unleavened Bread. This is called a “High Sabbath” because the first day of the feast falls on the weekly seventh-day Sabbath. Yahushua was crucified on the Passover, the sixth day of the week which was called the “Preparation day” for the Feast of Unleavened Bread. The dates given in Scripture for the crucifixion clearly give dates from the ancient luni-solar calendar. It does not say that the Jews wanted to get the bodies off the cross because it was Day F (the sixth day) of the Julian week. Nor does it say that the next day was Day H – the last day of the eight-day Roman week. 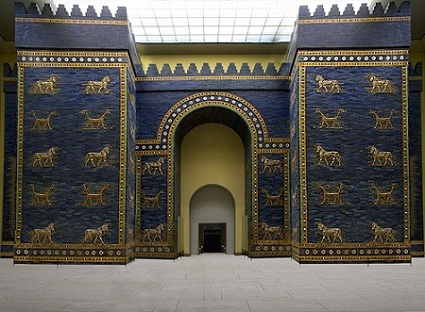 Reconstruction of the Babylonian Ishtar Gate in the Pergamon Museum in Berlin. Easter was a pagan festival, celebrating the goddess of love and war, Ishtar. Spelled ISHTAR, her name was pronounced EASTER. The heathen rites practiced when celebrating the goddess of love and fertility were among the most degrading in paganism. The Easter Bunny and colored eggs are ancient fertility symbols that still honor this corrupt goddess. The pure religion of the early Christians never observed the pagan festivals and they certainly never used them as the basis of when to worship. Apostolic Christians always worshipped on the ancient seventh-day Sabbath, calculated by the luni-solar calendar. It was not until the fourth century that the Council of Nicaea, convened by the pagan emperor, Constantine, passed decrees outlawing the observance of Passover. Sadly, many Christians do not even question the pagan traditions that they practice. Paganism fully triumphed over the Apostolic Ekklesia when the ancient Sabbath was set aside with the acceptance of Easter. 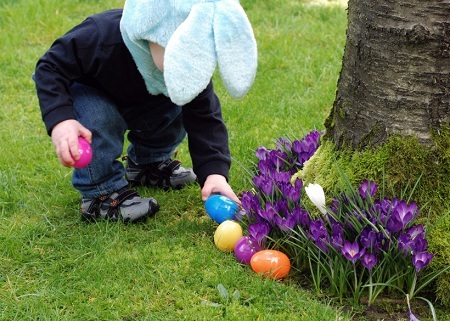 From ancient times, Easter had been celebrated on the first full moon after the Spring equinox. “Easter Sunday” is now celebrated by millions on the first Sunday after the first full moon after the Spring equinox. All who worship on Sunday in honor of “Easter Sunday” as the day of the Saviour’s resurrection are honoring a Roman Catholic institution which itself is based upon ancient pagan fertility celebrations. There is no Biblical record of the apostles or early Christians celebrating Yahushua’s resurrection except as a fulfillment of the Feast of First Fruits. There is no Biblical record of the apostles or early Christians celebrating Yahushua’s resurrection except as a fulfillment of the Feast of First Fruits. They commemorated His death on Passover, the 14th of the first lunar month. They worshipped Yahuwah on the seventh-day Sabbath, the 8th, 15th, 22nd and 29th days of the each lunar month. “Easter Sunday” remains what it has always been: a pagan fertility celebration. No renaming of it with so-called “Christian” names cleanses it of paganism. All who wish to gratefully acknowledge Heaven’s gift of Yahushua will do so on the anniversary of His death: Passover. They will worship on the seventh-day Sabbath, calculated by Heaven’s ordained system of time-keeping: the luni-solar calendar. Today heaven’s call to every sincere Christian is to renounce paganism. Worship the Creator on His appointed day, the seventh day Sabbath.